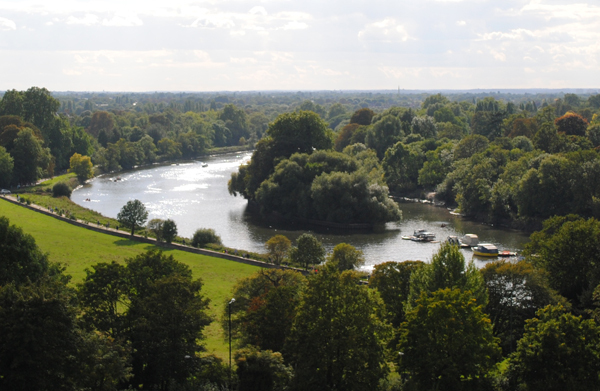 Sun reflects off the River Thames in a view from Richmond Hill Road, looking westward. Beyond the island on the far back is Marble Hill House, built Henrietta Howard, mistress of King George II when he was Prince of Wales, which is set in almost 27 hectares (66 acres) of parkland. Richmond is located in the south-west of the city.